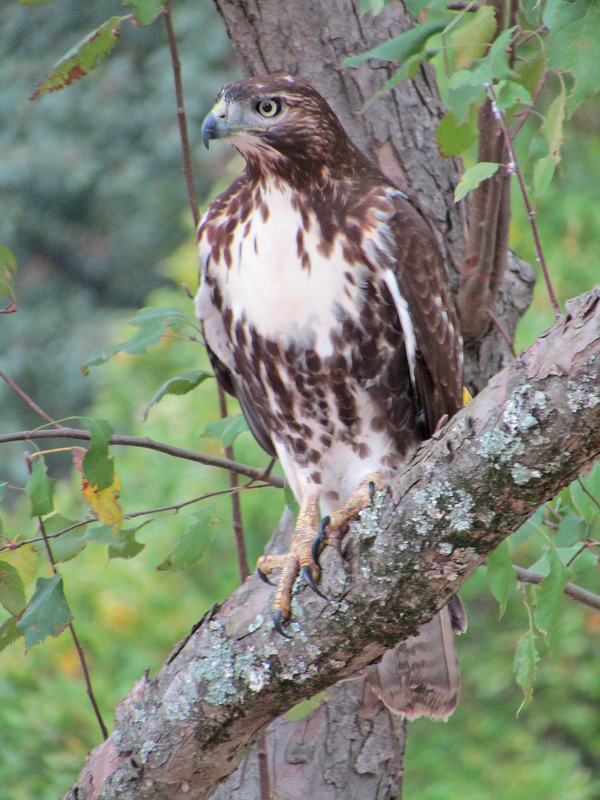 Photo by Bryan Stevens Red-tailed Hawks were found in good numbers on the recent fall count, but the species was outnumbered by migrating Broad-winged Hawks. 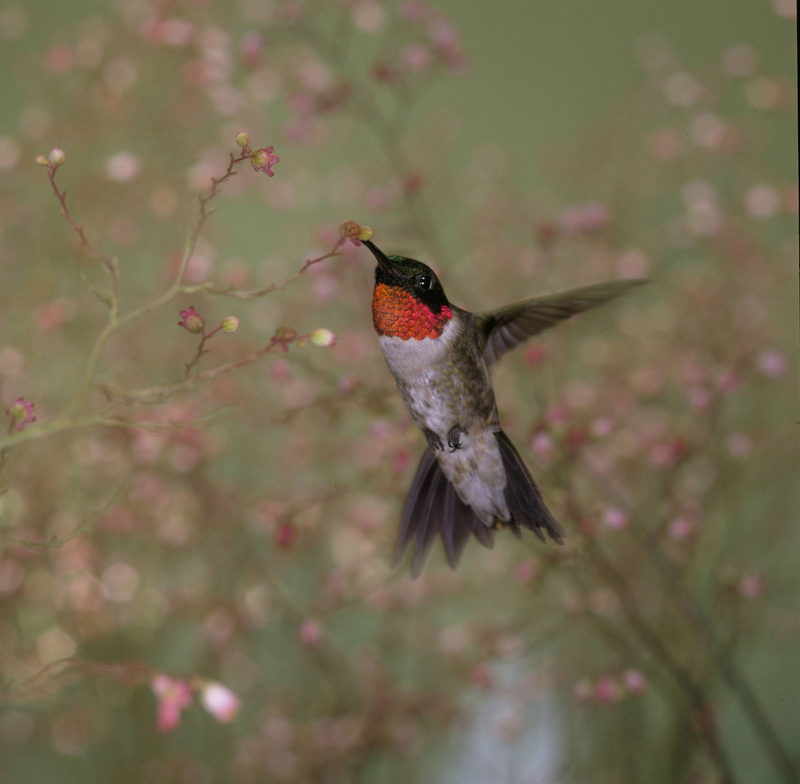 The Lee and Lois Herndon Chapter of Tennessee Ornithological Society held its annual Fall Bird Count back in September. The chapter’s five-county Fall Bird Count, the 47th consecutive survey conducted by the chapter, was held Sept. 24. A total of 39 observers (and two yard watchers) found a total of 125 species. 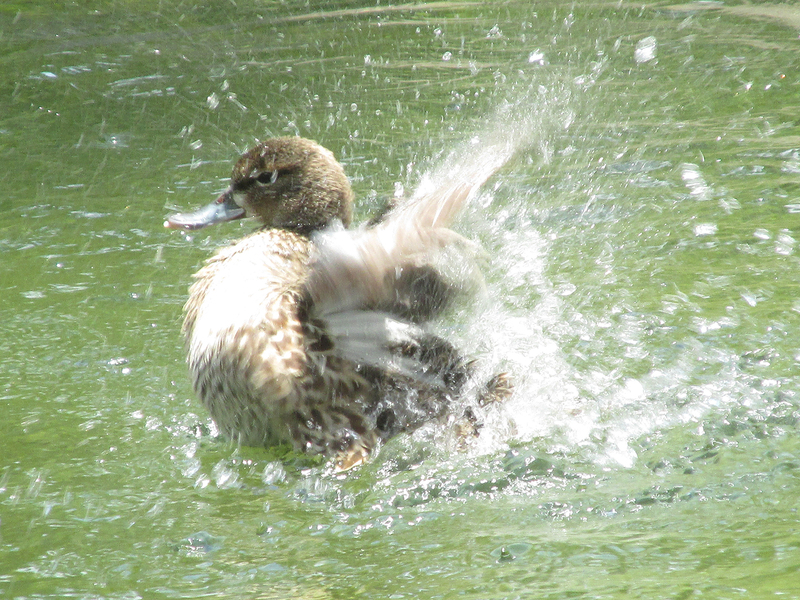 Oppressive heat on the day of the count probably negatively affected bird numbers. 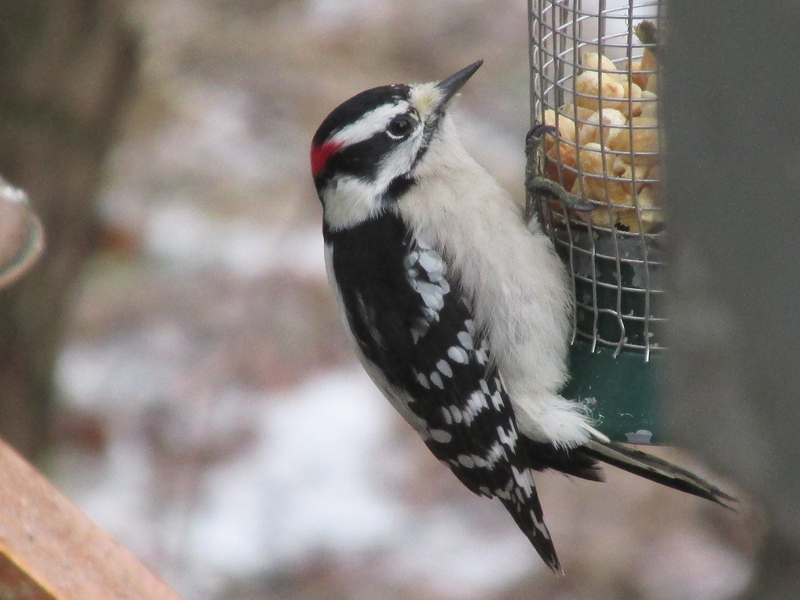 The Fall Bird Count, as well as the chapter’s annual Spring Bird Count, surveys bird populations in the upper Northeast Tennessee counties of Carter, Johnson, Sullivan, Unicoi and Washington. The annual count is compiled by long-time chapter statistician Rick Knight. The recent count was most notable for low numbers of many species. “A curious statistic: we had more Cedar Waxwings than European Starlings,” Knight remarked. 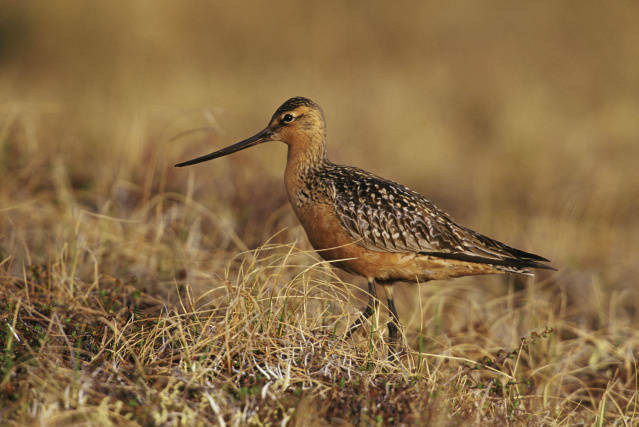 The all-time high on for a Fall Bird Count was 137 species in 1993. Photo by Bryan Stevens Blue-winged Teal were among the migratory waterfowl found during the recent Fall Bird Count conducted by the Elizabethton Bird Club. Canada Goose, 1,118; Wood Duck, 40; Mallard, 224; Blue-winged Teal, 4; Green-winged Teal, 1; Ruffed Grouse, 2; Wild Turkey, 23; Pied-billed Grebe, 3; Double-crested Cormorant, 16; Great Blue Heron, 30; Great Egret, 10; Green Heron, 2; Black-crowned Night-Heron, 2; and Yellow-crowned Night-Heron, 1. Black Vulture, 159; Turkey Vulture, 222; Osprey, 7; Bald Eagle, 4; Sharp-shinned Hawk, 2; Cooper’s Hawk, 10; Red-shouldered Hawk, 5; Broad-winged Hawk, 25; and Red-tailed Hawk, 22. Killdeer, 66; Spotted Sandpiper, 3; Least Sandpiper, 4; Pectoral Sandpiper, 6; American Woodcock, 4. Rock Pigeon, 365; Eurasian Collared Dove, 2; Mourning Dove, 174; Yellow-billed Cuckoo, 1; Eastern Screech-Owl, 14; Great Horned Owl, 8; Barred Owl, 8, and Northern Saw-whet Owl, 1. Photo by Bryan Stevens Downy Woodpecker was the most numerous woodpecker tallied on the fall count. Common Nighthawk, 3; Chimney Swift, 379; Ruby-throated Hummingbird, 30; Belted Kingfisher, 33; Red-headed Woodpecker, 1; Red-bellied Woodpecker, 61; Yellow-bellied Sapsucker, 5; Downy Woodpecker, 42; Hairy Woodpecker, 10; Northern Flicker, 28; and Pileated Woodpecker, 32. American Kestrel, 14; Peregrine Falcon, 2; Eastern Wood-pewee, 12; Acadian Flycatcher, 1; Empid species, 3; Eastern Phoebe, 68; and Eastern Kingbird, 1. White-eyed Vireo, 2; Yellow-throated Vireo, 2; Blue-headed Vireo, 20; Red-eyed Vireo, 15; Blue Jay; 329; American Crow, 376; and Common Raven; 26. Purple Martin, 1; Tree Swallow, 163; Barn Swallow, 1; Carolina Chickadee, 152; Tufted Titmouse, 124; Red-breasted Nuthatch, 12; and White-breasted Nuthatch, 36. 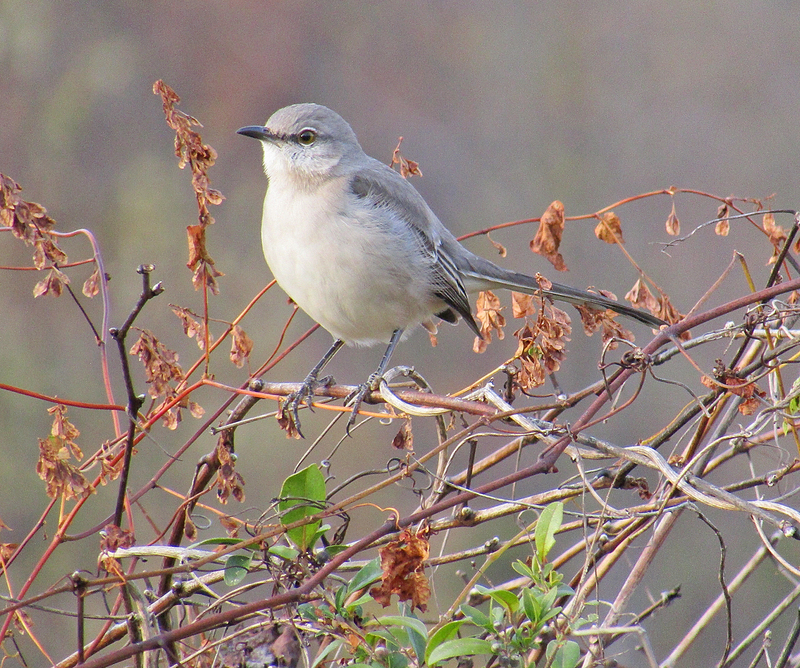 Photo by Bryan Stevens A total of 54 Northern Mockingbirds, Tennessee’s official state bird, was found on the count. Brown Creeper, 5; House Wren, 3; Carolina Wren, 139; Blue-gray Gnatcatcher, 2; Golden-crowned Kinglet, 23; and Ruby-crowned Kinglet, 5. Eastern Bluebird, 91; Veery, 4; Gray-cheeked Thrush, 6; Swainson’s Thrush, 89; Hermit Thrush, 1; Wood Thrush, 16; American Robin, 343, Gray Catbird, 48; Brown Thrasher, 14; and Northern Mockingbird, 54. 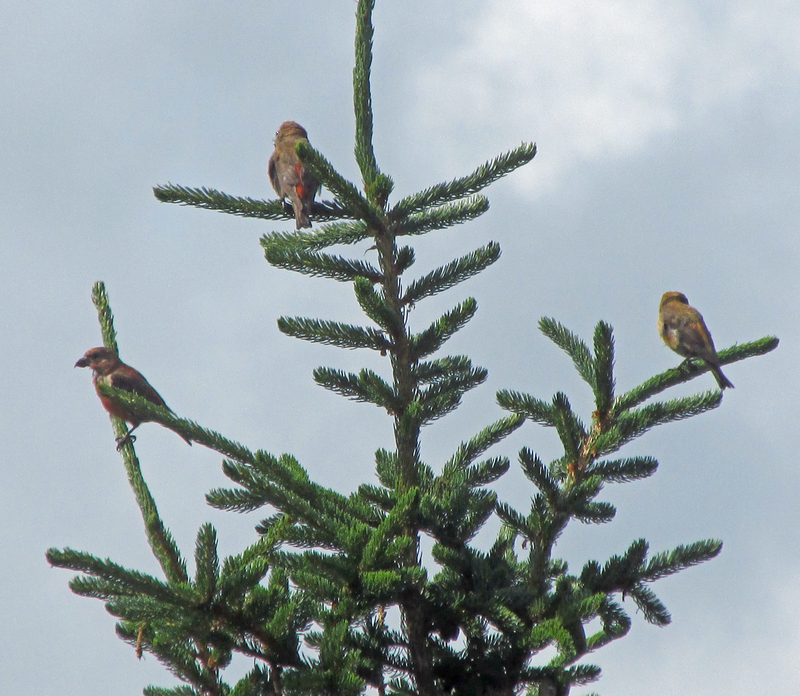 Photo by Bryan Stevens Red Crossbills were among the finches tallied on this year’s Fall Bird Count. European Starling, 426; Cedar Waxwing, 506; Ovenbird, 4; Worm-eating Warbler, 1; Northern Waterthrush, 1; Black-and-white Warbler, 4; Tennessee Warbler, 12; Orange-crowned Warbler, 1; Common Yellowthroat, 10; Hooded Warbler, 4; American Redstart, 13; Cape May Warbler, 7; Northern Parula, 3; Magnolia Warbler, 11; Bay-breasted Warbler, 6; Blackburnian Warbler, 3; Chestnut-sided Warbler, 2; Black-throated Blue Warbler, 3; Palm Warbler, 16; Pine Warbler, 11; Yellow-rumped Warbler, 2; Yellow-throated Warbler, 2; Prairie Warbler, 1; and Black-throated Green Warbler, 8. Eastern Towhee, 65; Chipping Sparrow, 24; Field Sparrow, 11; Song Sparrow, 83; Dark-eyed Junco, 95; Summer Tanager, 2; Scarlet Tanager, 15; Northern Cardinal, 138, Rose-breasted Grosbeak, 43; and Indigo Bunting, 13. Red-winged Blackbird, 61; Eastern Meadowlark, 10; Common Grackle, 156; House Finch, 51; Red Crossbill, 2; Pine Siskin, 10; American Goldfinch, 231; and House Sparrow, 38. The season’s first White-throated Sparrow showed up at my home on Oct. 30. 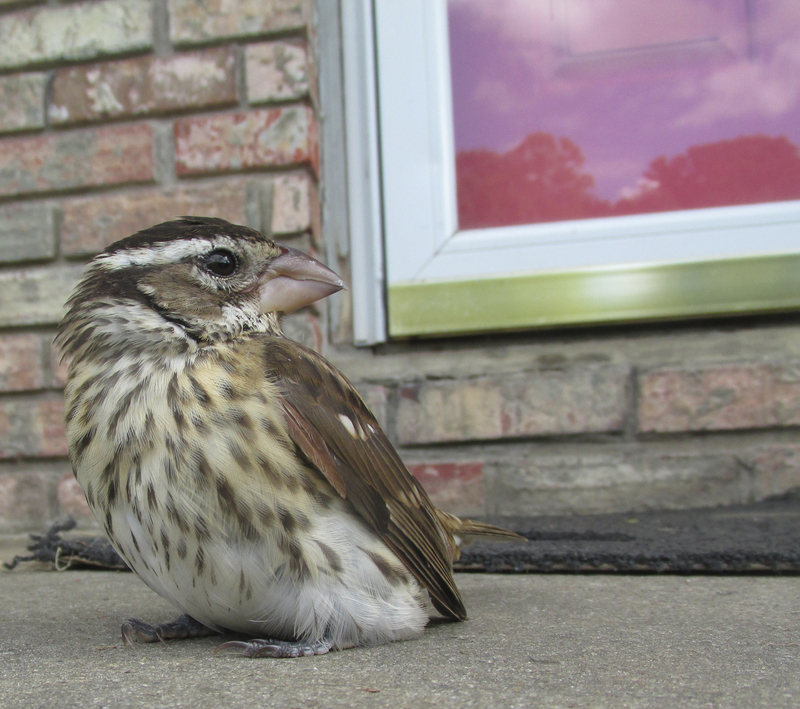 I’m hopeful that the sparrow is but the first of many new arrivals ahead of the winter season. 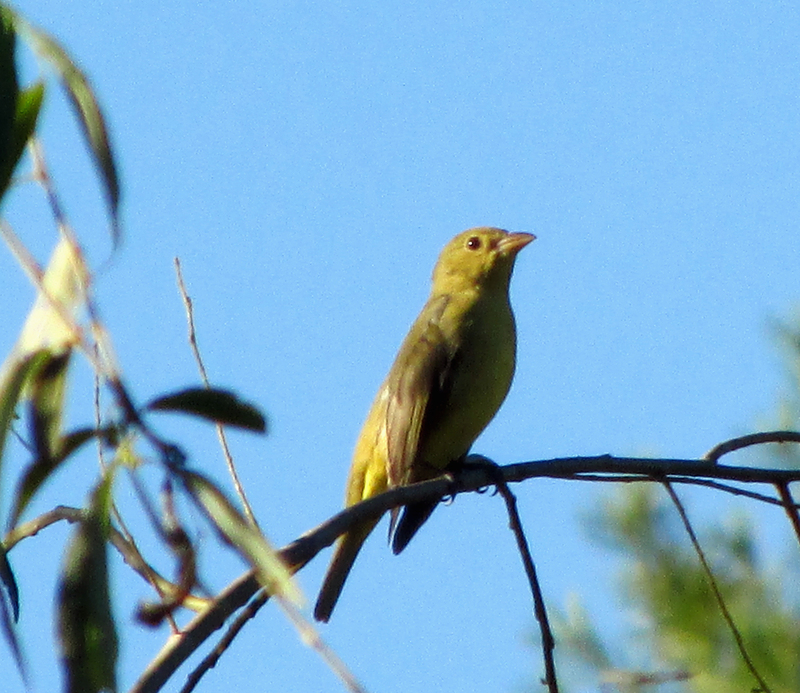 To share a sighting, ask a question or make a comment, send an email to ahoodedwarbler@aol.com. This entry was posted in Birding, Birds, Fall Bird Count, Fall migration, Uncategorized, Woodpeckers and tagged Birding, birds, Bristol Herald Courier, Bryan Stevens, Carter County Compass, Elizabethton Star, Erwin Record, Fall migrants, Fall migration, Feathered Friends, McDowell News, Northeast Tennessee, Our Fine Feathered Friends, The Erwin Record, Woodpeckers on November 13, 2016 by Bryan Stevens. Photo by Bryan Stevens A flock of Canada Geese in a field near the Watauga River in Elizabethton on the day of the Fall Bird Count. The 46th annual Elizabethton Fall Count was held on Saturday, Sept. 26. A total of 37 observers in nine parties covered Carter County and parts of adjacent Johnson, Sullivan, Unicoi and Washington counties in this yearly count conducted by the Lee and Lois Herndon Chapter of Tennessee Ornithological Society, or the Elizabethton Bird Club. This year’s count included new territory around Kingsport that has not traditionally been a part of this annual fall survey. 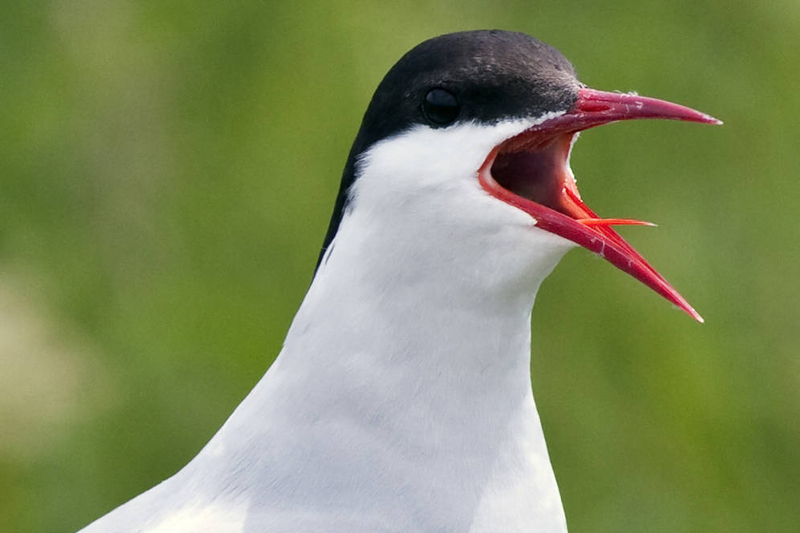 A total of 129 species were found, which is slightly above the average of 125 over the last 30 years. The all-time high of 137 species was achieved in 1993. The most numerous bird on the count was the European Starling (1,347) followed closely by Canada Goose (1,182) and American Crow (896). 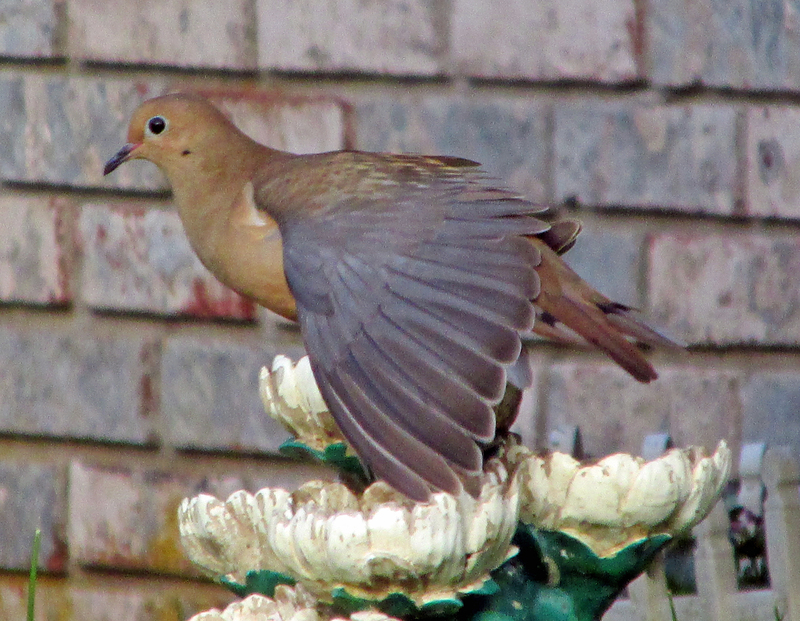 Photo by Bryan Stevens Mourning Doves were one of the more abundant birds on this year’s Fall Bird Count. Other numerous birds included Mourning Dove (529), Chimney Swift (490), Blue Jay (432) and Rock Pigeon (375). Of course, some birds were represented by only one individual, such as Northern Harrier, Great Egret, American Wigeon, Ruffed Grouse, Peregrine Falcon, Olive-sided Flycatcher, Eastern Kingbird, Worm-eating Warbler, Northern Waterthrush, Nashville Warbler and Yellow-breasted Chat. 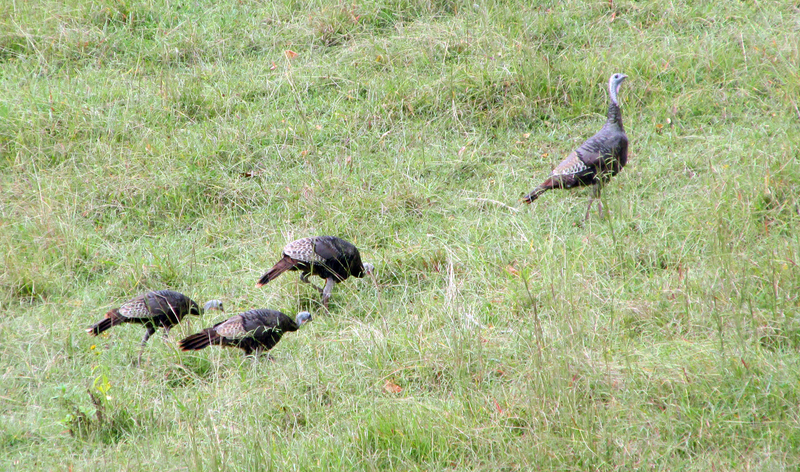 Photo by Bryan Stevens A flock of Wild Turkeys near the Elizabethton Municipal Airport. Canada Goose, 1,182; Wood Duck, 90; American Wigeon, 1; Mallard, 254; Blue-winged Teal, 13; Ruffed Grouse, 1; Wild Turkey, 161; Pied-billed Grebe, 9; and Double-crested Cormorant, 31. Great Blue Heron, 39; Great Egret, 1; Green Heron, 7; Black-crowned Night-heron, 4; Black Vulture, 172; and Turkey Vulture, 189. Osprey, 19; Northern Harrier, 1; Sharp-shinned Hawk, 5; Cooper’s Hawk, 10; Bald Eagle, 8; Red-shouldered Hawk, 3; and Red-tailed Hawk, 16. 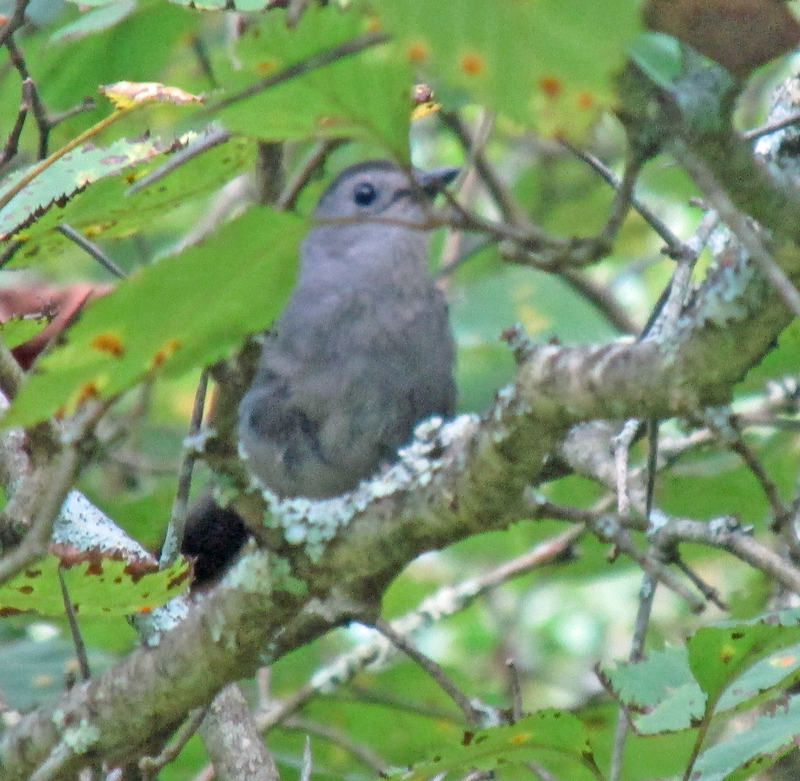 Photo by Bryan Stevens A curious Gray Catbird peeks from dense cover. Sora, 4; American Coot, 2; Killdeer, 87; Spotted Sandpiper, 3; Solitary Sandpiper, 5; Willet, 1; Sanderling, 2; Least Sandpiper, 1; and American Woodcock, 1. Ring-billed Gull, 4; Forster’s Tern, 1; Rock Pigeon, 375; Eurasian Collared-Dove, 5; Mourning Dove, 529; and Black-billed Cuckoo, 1. Eastern Screech-owl, 27; Great Horned Owl, 3; Barred Owl, 1; Northern Saw-whet Owl, 1; Chimney Swift, 490; Ruby-throated Hummingbird, 36; and Belted Kingfisher, 33. Red-headed Woodpecker, 1; Red-bellied Woodpecker, 73; Yellow-bellied Sapsucker, 1; Downy Woodpecker, 53; Hairy Woodpecker, 7; Northern Flicker, 54; and Pileated Woodpecker, 28. 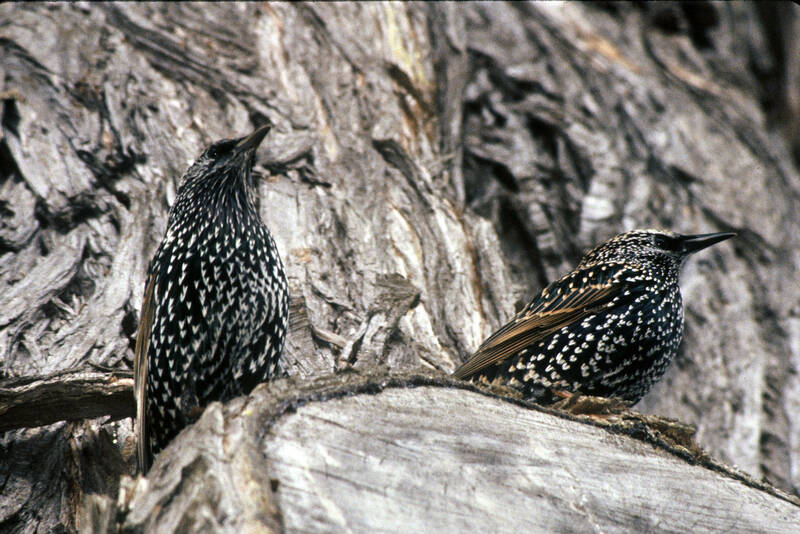 The European Starling ranked as the most common species on the count. American Kestrel, 24; Merlin, 2; Peregrine Falcon, 1; Olive-sided Flycatcher, 1; Eastern Wood-Pewee, 14; Acadian Flycatcher, 2; Eastern Phoebe, 71; and Eastern Kingbird, 1. White-eyed Vireo, 3; Yellow-throated Vireo, 1; Blue-headed Vireo, 6; Red-eyed Vireo, 4; Blue Jay, 432; American Crow, 896; and Common Raven, 8. Northern Rough-winged Swallow, 1; Tree Swallow, 231; Cliff Swallow, 2; Carolina Chickadee, 128; Tufted Titmouse, 111; Red-breasted Nuthatch, 1; and White-breasted Nuthatch, 43. House Wren, 6; Marsh Wren, 1; Carolina Wren, 152; Blue-gray Gnatcatcher, 2; Golden-crowned Kinglet, 2; and Ruby-crowned Kinglet, 2. 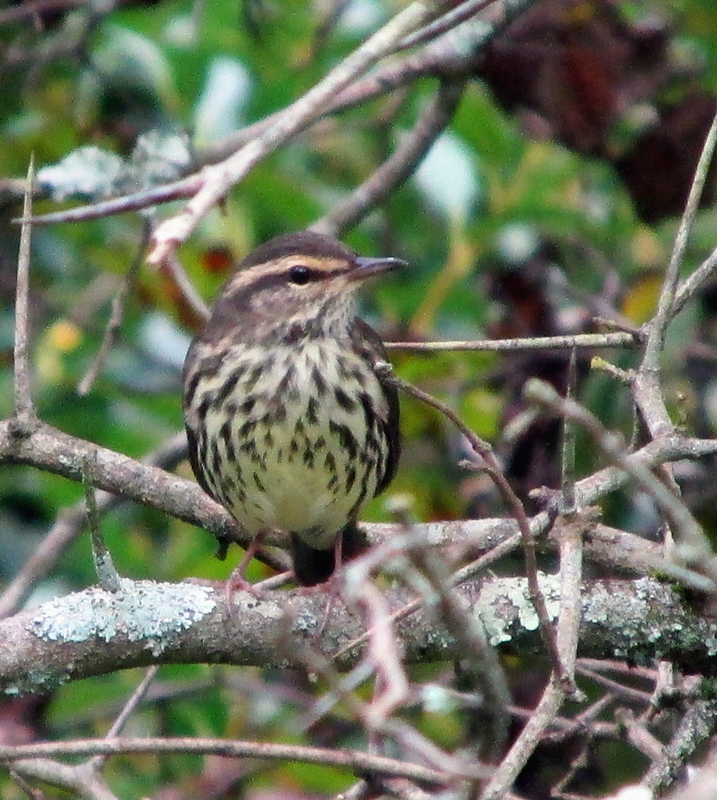 Photo by Bryan Stevens A total of 21 species of warblers, such as this Northern Waterthrush, were counted during the Fall Bird Count. Eastern Bluebird, 230; Veery, 1; Gray-cheeked Thrush, 1; Swainson’s Thrush, 23; Wood Thrush, 12; American Robin, 312; Gray Catbird, 60; Brown Thrasher, 19; Northern Mockingbird, 76; European Starling, 1,347; and Cedar Waxwing, 132. Ovenbird, 2; Worm-eating Warbler, 1; Northern Waterthrush, 1; Black-and-white Warbler, 6; Tennessee Warbler, 12; Nashville Warbler, 1; Common Yellowthroat, 25; Hooded Warbler, 4; American Redstart, 51; Cape May Warbler, 8; Northern Parula, 2; Magnolia Warbler, 24; Bay-breasted Warbler, 8; Blackburnian Warbler, 7; Chestnut-sided Warbler, 7; Black-throated Blue Warbler, 2; Palm Warbler, 54; Pine Warbler, 2; Yellow-throated Warbler, 1; Black-throated Green Warbler, 4; and Yellow-breasted Chat, 1. Photo by Bryan Stevens Scarlet Tanagers were still present in good numbers for the Fall Bird Count on Sept. 26. Eastern Towhee, 59; Chipping Sparrow, 37; Field Sparrow, 14; Song Sparrow, 99; Dark-eyed Junco, 31; Scarlet Tanager, 16; Northern Cardinal, 188; Rose-breasted Grosbeak, 28; Blue Grosbeak, 1; and Indigo Bunting. Red-winged Blackbird, 60; Eastern Meadowlark, 41; Common Grackle, 67; Brown-headed Cowbird, 15; Baltimore Oriole, 3; House Finch, 55; American Goldfinch, 188; and House Sparrow, 56. This entry was posted in Big Year, Birding, Fall Bird Count, Fall migration and tagged Birding, birds, Bristol Herald Courier, Bryan Stevens, Carter County Compass, Elizabethton Star, Erwin Record, Fall Bird Count, Feathered Friends, McDowell News, Our Fine Feathered Friends, The Erwin Record on October 11, 2015 by Bryan Stevens.